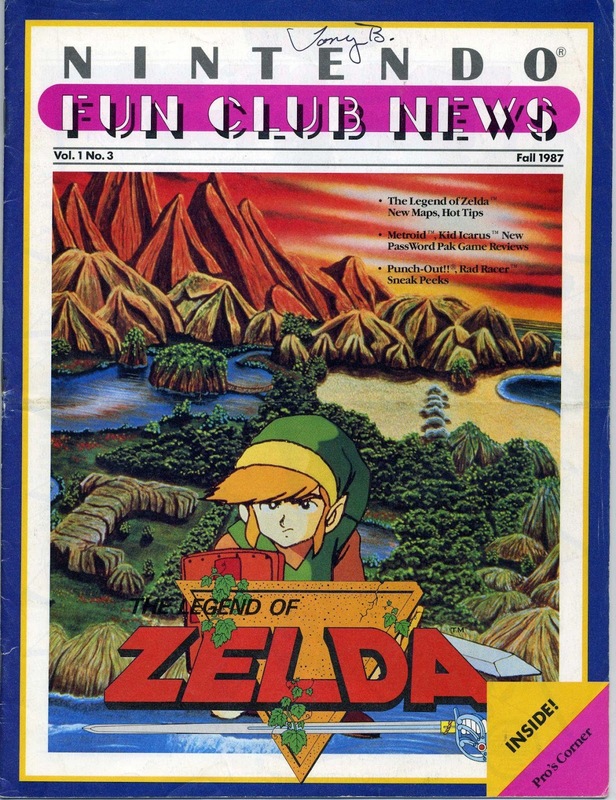 In the Pro's corner we get some more hints for Legend of Zelda, including a quick way to grind for cash, as well as a way to trigger a game over in case you need to quit in a hurry, because of dinner, or something else is on TV, or there's a thunderstorm and you don't want to lose your progress due to a power outage. In case you're wondering, the trick is to plug in controller two and hit Up and A. There's also some tips on grinding for energy in Metroid, as well as escaping the grasp of one of the titular Metroids, escaping lava, and also quickly getting yourself a game over (same trick as with Zelda). 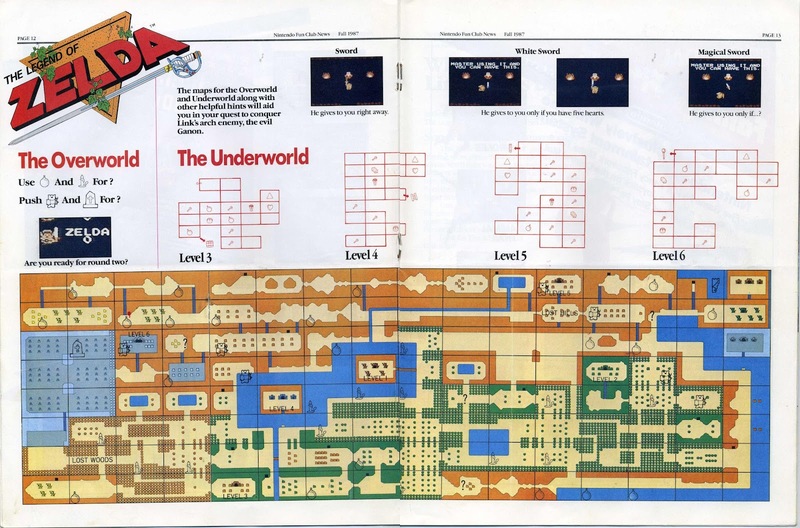 There are also continue codes for Super Mario Bros, Solomon's Key, Trojan, Ikari Warriors & Gradius. Oh, and if you want to know the last two - the Ikari Warriors code is enter ABBA (like the band) and then hit Start after you die, and the Gradius code is Down, Up, and then enter B A four times, before hitting Start. Frankly, I think the Ikari Warriors code is much less masochistic. There are also some user submitted tricks, but as they're not vetted, I don't trust them. Continuing with the preview blurbs, there's info on Mike Tyson's Punch Out and Rad Racer, along with some more ads. 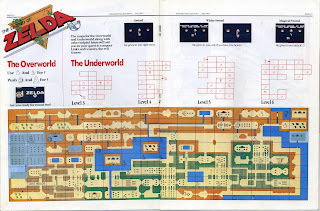 After that, we get a nice map of the entire first quest of Legend of Zelda, and dungeons 3 through 6 of the underworld, which I've posted here for your consideration. 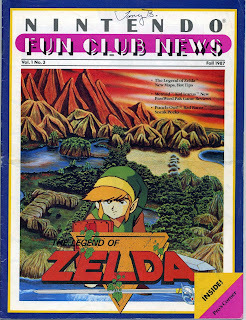 Anyway, we also get a bit of info on Zelda II: The Adventures of Link, and Pro-Am Racing (which will get released in the US as RC Pro-Am). There's also our high scores for the issue. In the letters column we have some requests for more tips and tricks, along with a recommendation for what will eventually become the Top 20. I'm kind of considering putting a database togeather of the Top 20 surveys, just to keep my Database-Fu strong. We also get some profiles of the game councilors, and some ads for Fun Club merch. 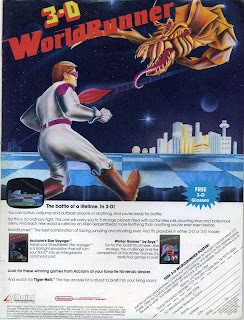 There's also a promo article for the Nintendo Advantage joystick. I actually own one of these, and had used one before this. It's got the kind of durable work that you expect from Nintendo, but the buttons kind of stick - and I recall them being kind of sticky on the one I used before - but I could be wrong. 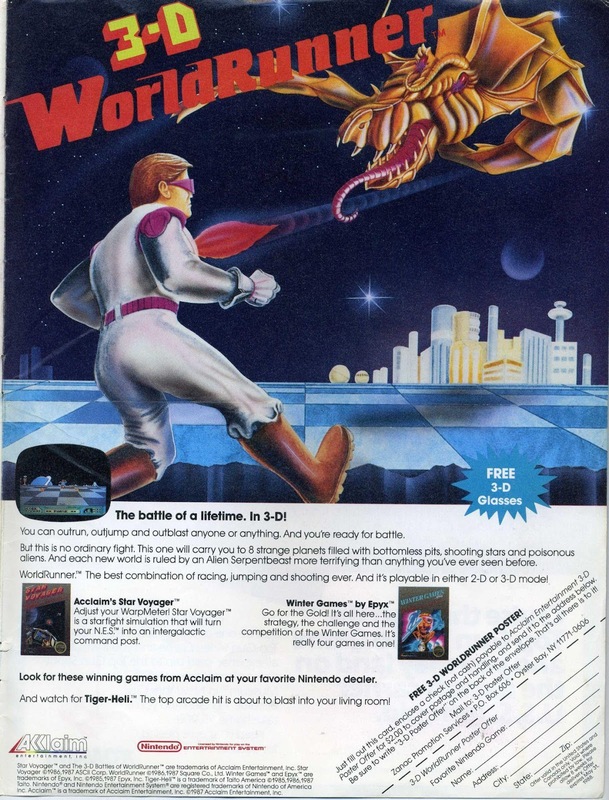 Finally, we wrap up the issue, with full page color ads for Top Gun, and Acclaim's upcoming titles, including Square's 3D World Runner.